Vertical tastings, for those like me that aren't in the know, is when you’re tasting one bottling from one winery over the course of years, with multiple vintages. By making sure everything else stays the same (the land, the varietal, etc), you can simply examine between the years themselves. The influence of yearly climate is more present in this type of tasting. Join wine expert Hélène Goble in this sampling of five different vintages from Château Corbin Wines, which is one of the oldest estates of Saint-Emilion, in Bordeaux. The 13-hectare Corbin vineyard is mainly planted with the merlot grape variety. Explore the Musée de la Légion d'Honneur. Military and art enthusiasts alike will be sure to enjoy this guided visit to the Musée de la Légion d’Honneur – an elegant neoclassical mansion first built in 1782 as Hôtel de Salm. Since 1925, it has been both home and museum for France's honors, medals, decorations – as well as knightly orders from Louis XI to the present. Not to mention Napoleonic relics and hundreds of portraits. Join WICE on a guided tour and discover this wonderful collection of military and civil decorations from France and beyond. This event has been postponed until Saturday 25 May, 2019. Jamika Ajalon is an Inter-disciplinary artist working as a poet, songwriter, performer and artist. 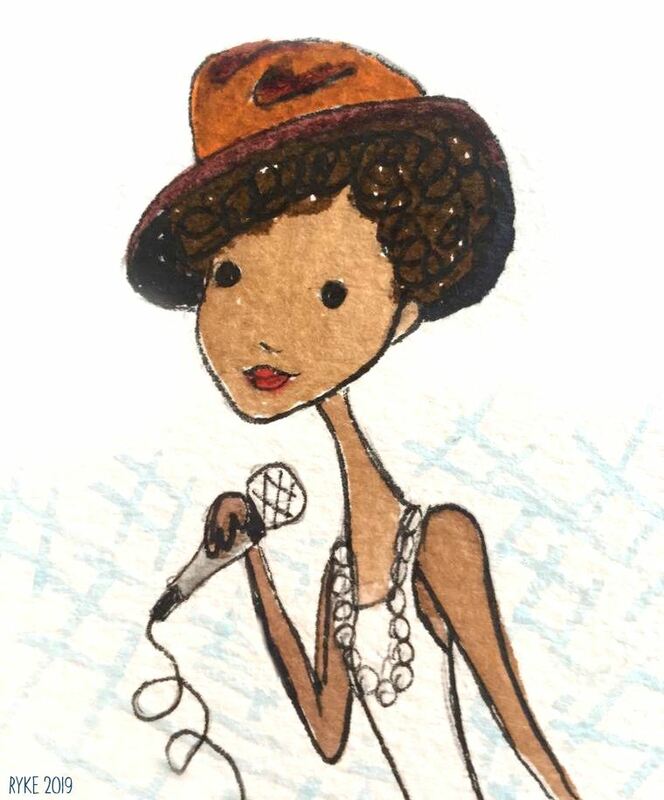 She's published and performed internationally both solo and collaboratively. Jamika's words display a particular reverence for the sheer musical quality built-in to words. Often in both her writing and spoken word, she sculpts language into unique objects that come fresh to our ears. As result, her texts encourage us to meditate on tone and the percussive nature of words as single note or a connecting phrase – and of course, the overall meaning and power within the alternating delivery of her language. Jamika will be presenting selected works from her latest book of poetry at WICE Saturday, April 13, 6-8pm combining spoken word alongside improvised electronic soundscape. Refreshments will be served. Words will be served to your ears! Begin with what I call the 3Ps (Pain, paper, and pen!) where former Paris Writers Workshop participants and published authors poet Pamela Manché Pearce and memoirist Debra Whittam impart their personal experiences on taking painful experiences and putting them into words in "Writing Their Hearts Out: Women Writers on Love, Loss and Recovery". 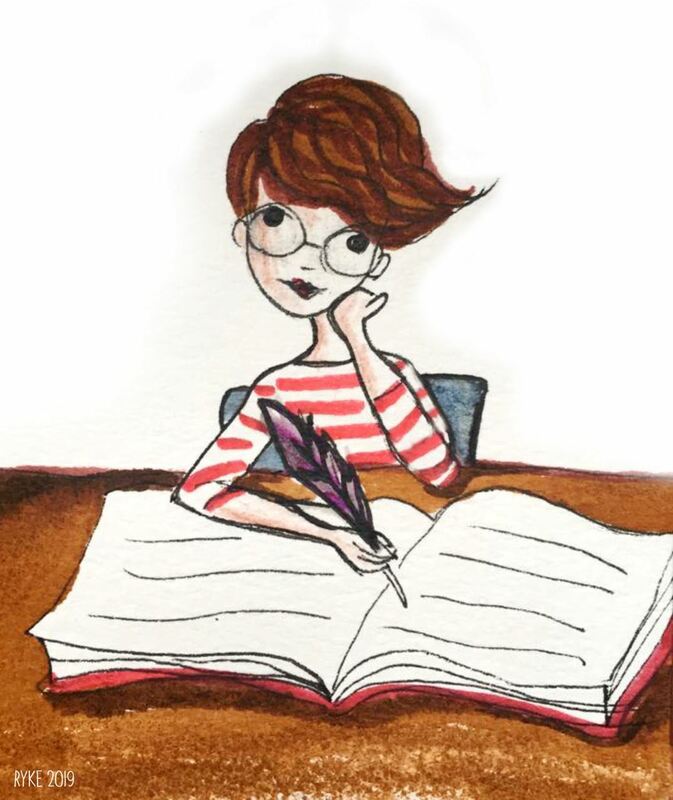 Then my poetry pets, join David Barnes for a 6-week course where you can develop in-class and home your own poetry writing “Craft and Inspiration” – a motivating class to get both the pen and artistic spirit flowing! And to round things up, WICE author and multi-talented artist Jamika Ajalon, will be reading a select works from her latest book of poetry along with live improvised electronic soundscape. Refreshments will be served after the presentation. 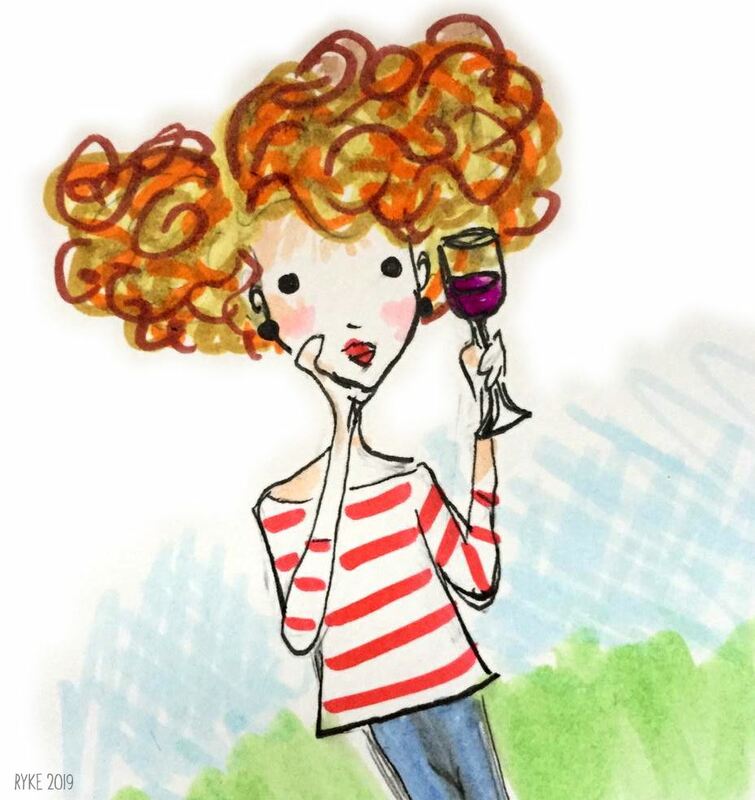 S tarting this Thursday with an introduction to some amazing natural and bio wines by expert, Hélène Goble, WICE has several featured events for foodies. On April 10, Chef Randall will teach and demonstrate several Moroccan dishes: Morocaan Grilled Lamb, Apprle Sorbet & Apple Beignets! And lastly, delight in a wine tasting evening with a selection of wines from Chateau Corbin, April 18. Don't miss out on these yummy and informative evenings. Click the detail links below or visit out Living in France page >. You’re just longing for a day trip, non? Something with a wee bit of history, landscape, authors, and who knows? I love such excursions too. OK, so it’s settled. 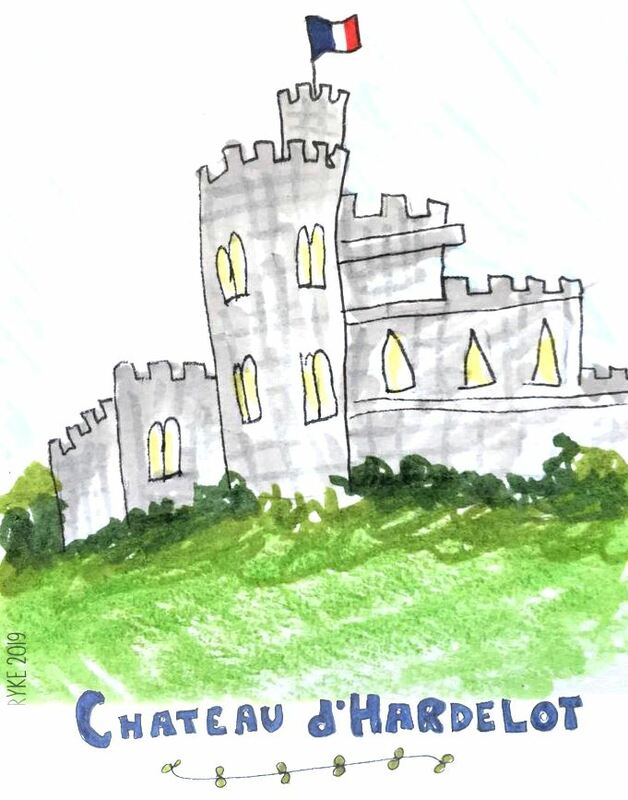 You’re going to visit Chateau d’Hardelot with a guided visit by author, Stephen Clarke no less! Built upon a medieval castle, this 19th century chateau celebrates the Anglo-French relationship and houses the "Centre Culturel de l'Entente Cordiale" – a permanent exhibition curated by best-selling author Stephen Clarke. Located in a small village and surrounded by scenery, Chateau d’Hardelot has a rich history dating back to the Medieval times. Join WICE on this exclusive guided visit. Transport to/from the train station in the historic fishing port Boulogne-sur-Mer, the museum entry fee and tour plus lunch are included in the fee. Ever since my days in art school, I’ve always been fascinated by artists who despite their solo endeavors came together and worked side-by-side communally. Such places like Montmartre and La Ruche were part of this enchanted ideal of Paris that inspired my eventual move here. Typically, the building’s inside is not open to the general public, so I was delighted to tag along on a WICE member’s Walk & Visit recent visit for an exclusive peek at both the interior and gardens. Walking through the lush quirky garden and live/work spaces, one couldn’t help take in the mixture of smells of oil paints with fresh grass while the bustling sounds of the city blare in the distance. Named for it’s beehive like shape, it’s not hard to imagine all the buzzing that’s gone on here over the years. First created as a temporary rotunda by Gustave Eiffel in 1900, the building was dismantled and relocated to the 15eme by Alfred Boucher, a sculptor, who wanted to establish studios and exhibition space to young artists such as notables Marc Chagall, Diego Rivera, Max Jacob, Soutine, and so many others. Like Montmartre, a colorful history of bohemia and art endured since then – shifting and changing with the times. 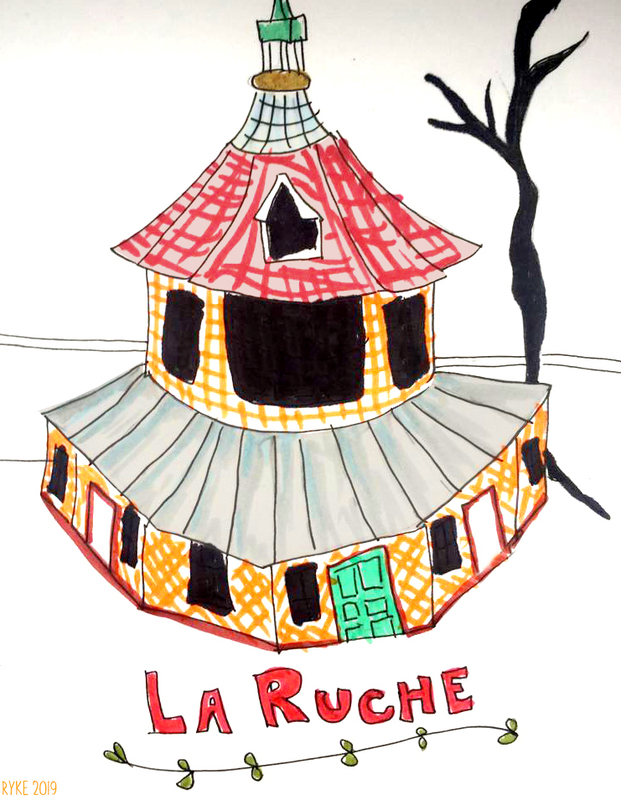 La Ruche is still home to artists. Some choosing just to work there, some still live on site. Regular exhibitions in their gallery feature international and local artists – and it’s a great opportunity to check out this historic space. Now you can also be part of the hive making art! WICE Walks & Visits are a great way to learn more about this cities cultural history and offerings. Click here to see what's coming up! WICE provides varied and interesting courses and classes that allow our members to make the most of living in Paris, one of the most vibrant and creative cities in the world. We see our mission as being an organisation where Internationals are able to connect with French Culture and the diverse and artistic scene that can be found in Paris. 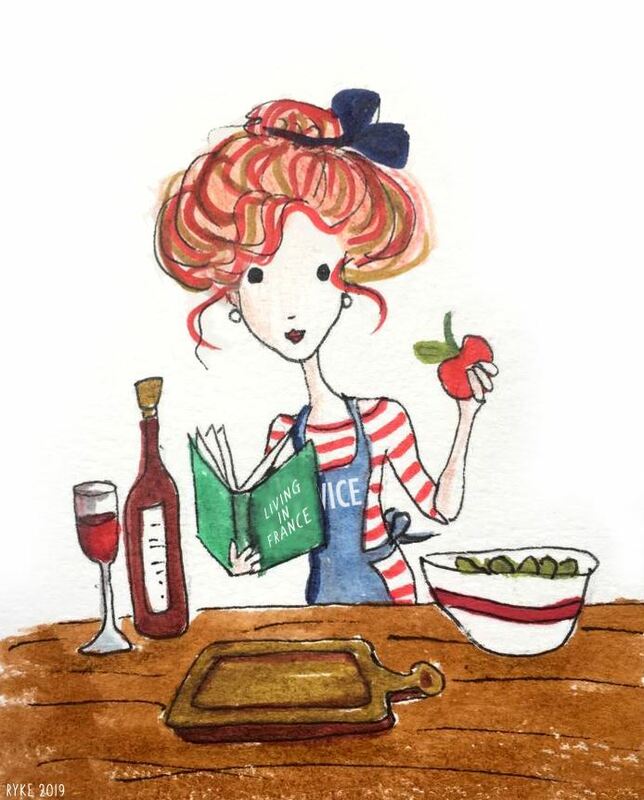 We are also keen that WICE is a place where people both locals and expats are able to connect with each other which we support specifically through our month Apero Evenings and activities such as the French English Conversation Group. To help strengthen the WICE community, we have introduced a members forum area into our website that can be used by members to share tips, ask questions and connect with others so as to enhance their life in the City of Lights. So, if you have a question about living in Paris such as where to find the best cheese or wine, or you have been to a great restaurant or exhibition then please use the forum to share your experiences and help enhance other’s experience of Paris. The forum will also be used as a place where the organisation will post information about member only offers from WICE and our partner organisations as well as details about volunteer opportunities. We would also like to see it as a place where our members can give feedback to or ask questions of the WICE organisation. 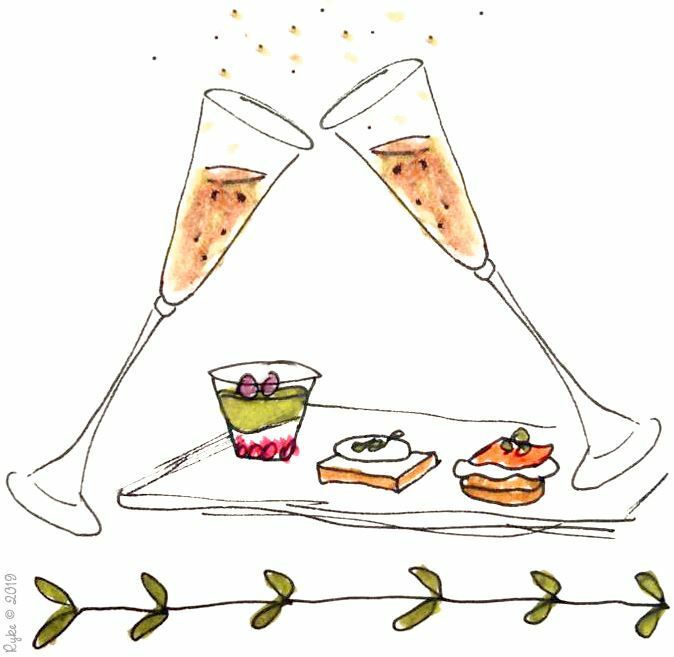 Champagne & Amuse-Bouches Mixer … Umm, yes, please! 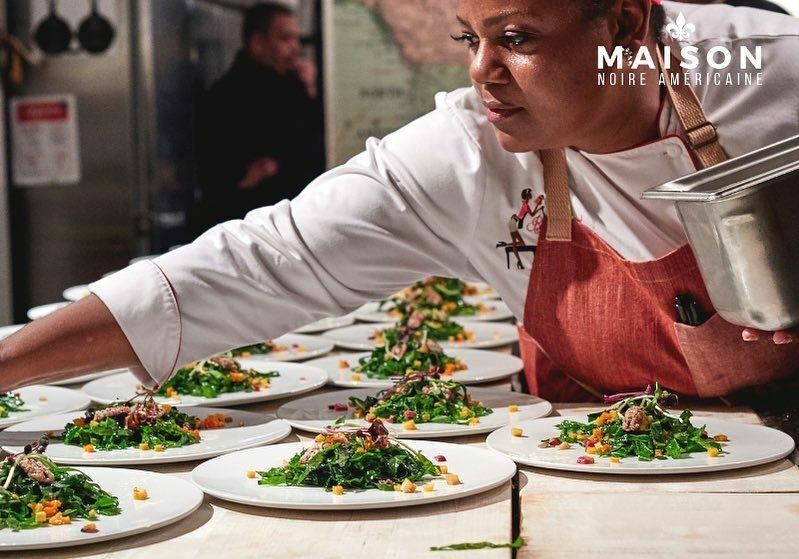 WICE and our partner, Maison Noire Américaine, are thrilled to host the Champagne & Amuse-Bouches social mixer on Friday, March 15th, featuring Chef Jennifer Hill-Booker along with select champagne from Champagne Marie Césaire! Atlanta-based Chef Jennifer Hill-Booker describes her cooking style as “a modern reinvention of Southern cuisine that incorporates the traditional use of seasonal ingredients, important to maintain a healthy lifestyle, with French culinary techniques she learned from her training at the Le Cordon Bleu College of Culinary Arts in Paris.” She’s the author of “Field Peas to Foie Gras”, a cookbook that artfully blends traditional Southern dishes with French techniques, and “Dinner Déjà Vu: Southern Tonight, French Tomorrow”, a cookbook with recipes that use one list of fresh ingredients to create two meals: one Southern and one French. These combined grocery lists provide time-saving tools for recipes from cocktails to desserts and everything in between". 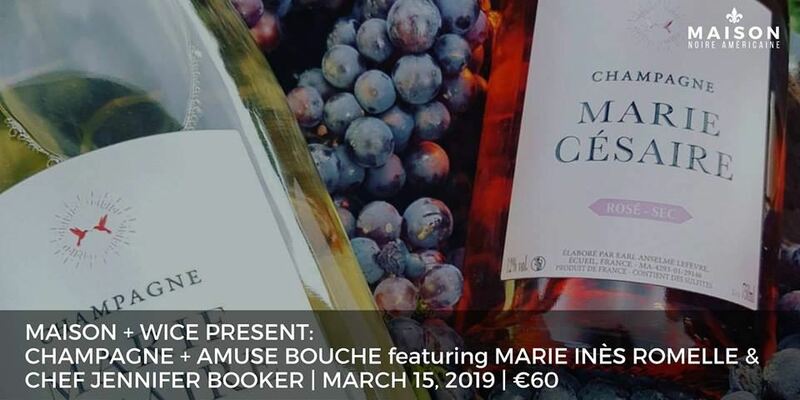 This appetizing event will take place at Treize au Jardin, across from the Luxembourg garden where Marie Inès Romelle, the founder of Champagne Marie Césaire, will also be in attendance. Along with her brother, Jaïro, Marie Inès Romelle runs the family-owned Champagne Marie Césaire which they named after their parents: Marie et Césaire. Laurel Sanderson, owner of Treize au Jardin, will also collaborate with Chef Jennifer on a tasty treat. This is a great opportunity to enjoy southern inspired bites paired with select bubbles, and also a fun and exclusive evening for socializing and networking. What better way to kick-off your weekend than that?! You are strong. You are intelligent. You are the power house that people need. You are a mother. You are a daughter. You are a wife. You are all of that and more. Then, why do you stoop sometimes so low? Why do you feel the need to be so? Be that woman who says a kind word when someone is facing challenges. Stop. Don’t say I went through worse. This is not a competition. Be that woman who is able to appreciate another woman’s efforts. Stop. Don’t envy her hard work. You had your day and this is hers. This is not a competition. Be that woman who is able to stop rumours being spread about another. You don’t know the truth. Neither does the hater who is spreading it. Be that woman who is there for that girl trying to beat all odds to shed a few pounds. Looking good is as important to her as it is to you. Be that woman who appreciates the thoughtfulness that goes into her actions. She is seeking love and that is her way to express. Be that woman who keeps quiet when another is saying something inadvertently wrong. Call her aside and tell her in confidence. Don’t use this opportunity to showcase your knowledge. This is not a competition. Be that woman who is able to walk away when another continues to cause you harm. You don’t need her anymore. Move away. Be that woman who gently reminds another of your capabilities, when all they seem to remember are your flaws. Be that woman who cherishes and remembers the good deeds that other women have done. They didn’t have to, but they did. Be that woman who can happily accept to see another face other than your own. Your life. Your story. Be that woman who takes charge of your own narrative. 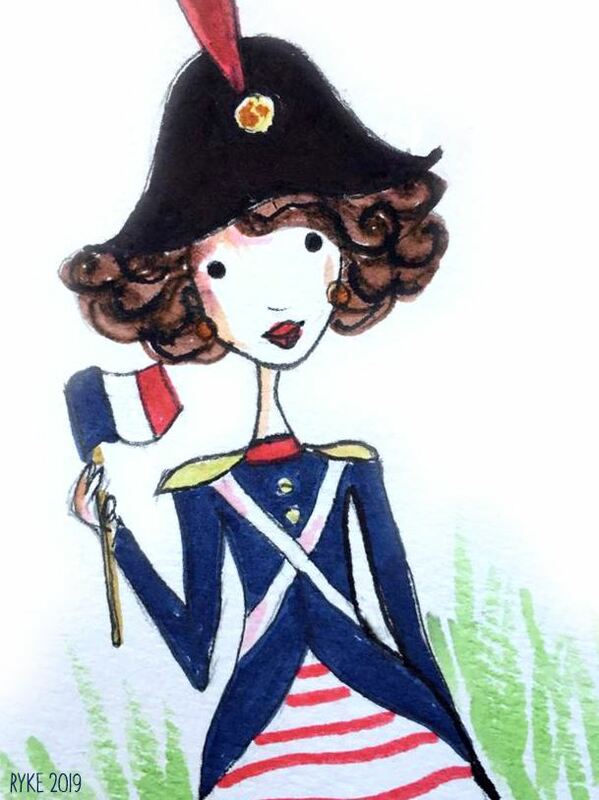 Happy International Women’s day dear ladies!! Sign up for WICE Direct, our twice-monthly e-newsletter for the latest news and course information or follow us on social Media.